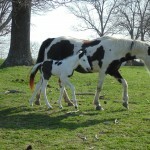 Our first 2014 paint foal born April 11. 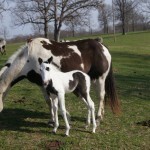 He is a stud colt by NTS Gimini Cricket also a black and white tovero. He will be available for sale at weaning.